We all love myths and star appeal – the Champagne region provides plenty of both. 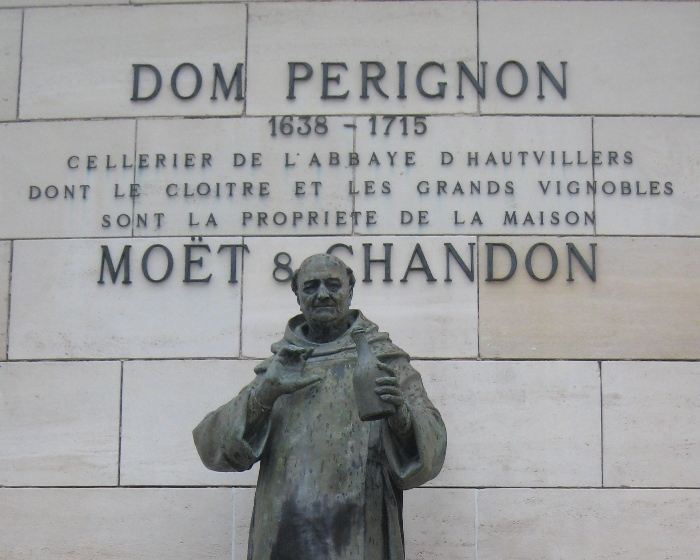 Take Dom Pérignon, the monk, rather than the wine… not only is his alleged ‘invention’ of Champagne discredited, but his lovely quote “Come quickly Brothers, I am drinking the stars” appears apocryphal too. No matter, a pilgrimage to see Dom Pérignon’s statue outside Moët & Chandon’s premises, along with other star-gazing is a must for the travel list of any lover of Champagne. Today, it could not be easier to reach Reims, the capital of Champagne. The super-fast TGV (Train de Grande Vitesse – high-speed train) will whisk you from the Gare de l’Est in Paris in under an hour, or if you are coming by car, Reims is reached in just 2 ½ hours from Calais on the English channel. The other important town in Champagne, Epernay can be reached in 30 minutes by road from Reims, or there is a train service direct from Paris, and a connection at Reims. Within Reims, taxis are an easy option to visit the different Champagne Houses. Epernay is much smaller than Reims, but dominated by the Champagne business. Above ground the town is fairly ordinary, with the exception of the very grand Avenue de Champagne where you will find many famous Champagne Houses including the largest of them all, Moët & Chandon. It’s below ground in a labyrinth of chalk cellars where the magic happens with the process of turning a fairly ordinary acidic white wine into something sublime and sparkling. Several Champagne Houses give comprehensive tours of their cellars, explaining the Champagne Method along the way, and certainly Moët’s tour is very thorough, if a little lacking in personality. For a personal take on the how the bubbles get into the bottle, it’s a wonderful experience to visit one of Champagne’s independent family run companies, so-called Growers, such as Champagne Tarlant, based in the village of Oueilly, just 16km (10 miles) west of Epernay along the Marne Valley. The family make a range of Champagnes, with a particular speciality of very dry, but beautifully balanced Brut Nature Zero. Either Micheline or daughter Mélanie welcome visitors into a lovely tasting room, and conduct tours twice a day (in English when required), or for groups by appointment. Another interesting way to taste a range of Grower Champagnes (from family producers using their own grapes, rather than big companies who buy in much of their needs) is to call in to the relaxed Champagne bar and shop ‘C comme Champagne’ where you can taste a flight of different Champagne styles. On a recent quick visit to Epernay we enjoyed a delicious and good value meal at Bistrot 7, which is the more casual, less expensive restaurant in Hotel Les Berceaux, home to Patrick Michelon’s Michelin starred restaurant. Everything within Epernay is in walking distance. Another above/below ground experience can be enjoyed in Reims. A visit to the great gothic Cathédrale Notre Dame, this year celebrating its 800th anniversary, is a must especially for its beautiful circular stained-glass window near the entrance. If you’ve time try also to go to the Saint Rémi Basilica, formerly a royal abbey – both are UNESCO Heritage sites. The famous crayères of Reims, the chalk pits rather than the very famous luxury hotel-restaurant Château Les Crayères, are also sometimes referred to as the underground cathedrals. Originally quarried by the Romans for roads, the caves were later opened up by the monks who realized they were perfect to store and age Champagne. The most impressive steps lead you down to visit Pommery’s cellars, which is open daily for visits (many Houses close on Sundays and for a month or more in mid-winter). Pommery also hosts art exhibitions in the cellars, which adds another dimension to the visit. A tasting is available (with a charge) at the end of the tour, and the shop sells their range of Champagnes and gift packs, along with accessories. Another large Champagne House with some beautiful carvings in their crayères and open all year round to visitors (not weekends in winter) is Champagne Taittinger, still family owned. Parts of the cellars served as a hospital in World War I and today they house 3 million bottles, only a small proportion of Taittinger’s needs – the rest are in another modern cellar. Taittinger’s excellent range of Champagne is dominated by Chardonnay and culminates in the very highly respected prestige cuvée Comtes de Champagne. Do dress warmly if you visit any of the crayères, the average temperature is just 9°C and the humidity 95%. For a trip out to the vineyards there are several Champagne producers who welcome visitors including the excellent Vilmart, known for its very complex oak-aged Champagnes, run deftly today by 5th generation Laurent Champs. Also close by and well worth a visit is J Dumangin et Fils, where Gilles Dumangin offers an excellent range to taste with perfect explanations in English. Do make an appointment to visit as these are small family concerns. For a real buzzy Champagne atmosphere, visit one of Reims’ great brasseries for lunch. 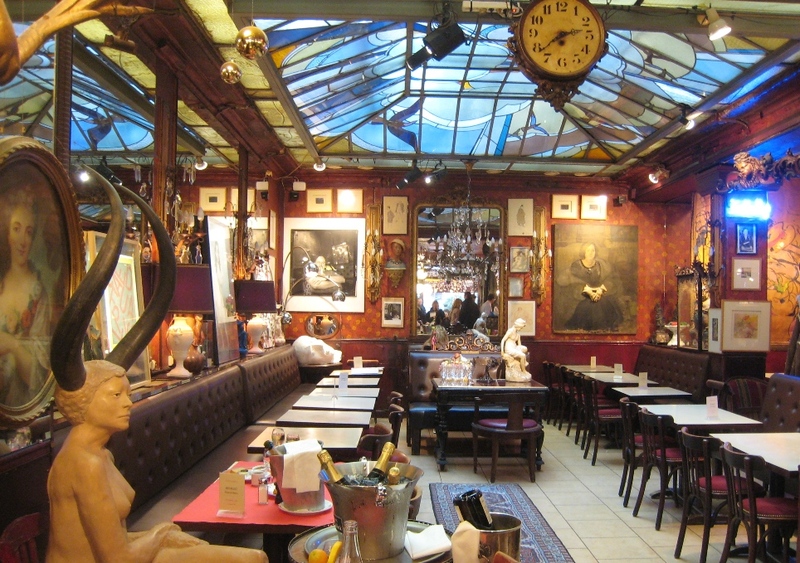 Favourites include Le Boulingrin, which is brilliant for people-watching and does excellent Plateau de Fruits de Mer (seafood platters) and the Café du Palais, full of Champagne trivia collected over the years. 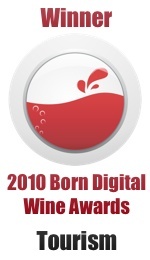 Many real Champagne aficionados are fans of either Bollinger or Krug, or both. Neither are large Houses and for both you really need an introduction to obtain an appointment to visit whether singly or in a group. Bollinger in Ay is particularly welcoming for really interested wine appreciation groups, and a tour includes their little museum and a look at their plots of ungrafted vines. A visit to Krug is equally unforgettable, almost like being welcomed into the family; the story of the House is explained in the most civilised manner in their smart reception area over a glass of Grande Cuvée. Having had the chance to visit both these fine Houses, I can assure you that these are genuine Champagne stars, with a dedication to making the finest product they can. They are well worth a visit if you can get the introduction. For more ideas for planning your visit to Epernay, Reims or the Aube district of Champagne, do take a look at the Wine Travel Guides to Champagne written by Tom Stevenson and Michael Edwards. Membership to the website giving one-year access to download all the latest PDF Guides would make an unusual present, or why not treat yourself? Our offer valid until the end of the year of a 30% discount off annual membership including Gift Membership is available to readers of this blog who use the promotional code D2BLG1111 and now extended until 29th February 2012.